I so enjoyed making these sparkly goodies and was so pleased with how they turned out. 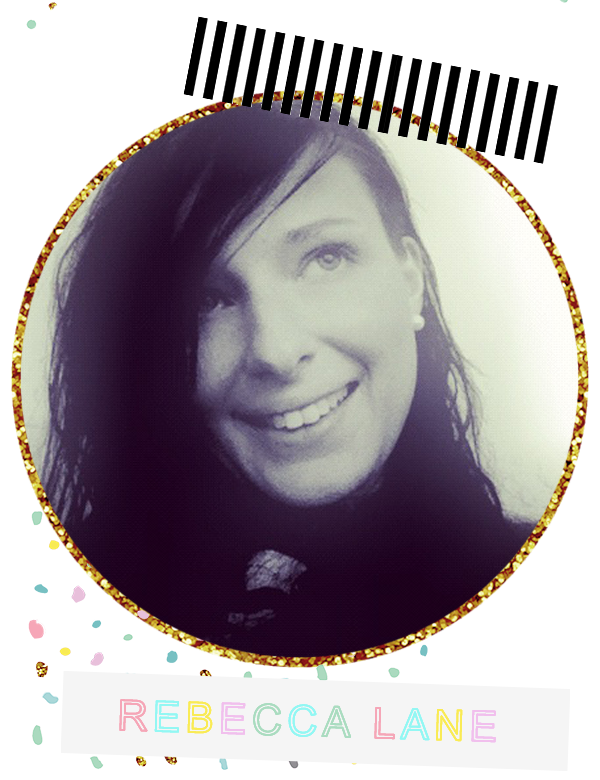 They are made from thick and flexible glittery cardstock that does NOT leave glitter all over your digits, your planner or your handbag! What is it they call glitter?... Crafters herpes?! LOL. 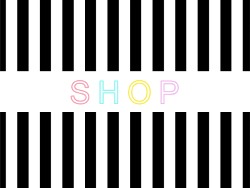 Colours available are: Black, White, Silver, Yellow Gold, White Gold, Rose Gold, Copper, Hot Pink, Light Pink, Deep Blue, Bright Blue, Emerald Green, Spring Green and last but not least Lilac! 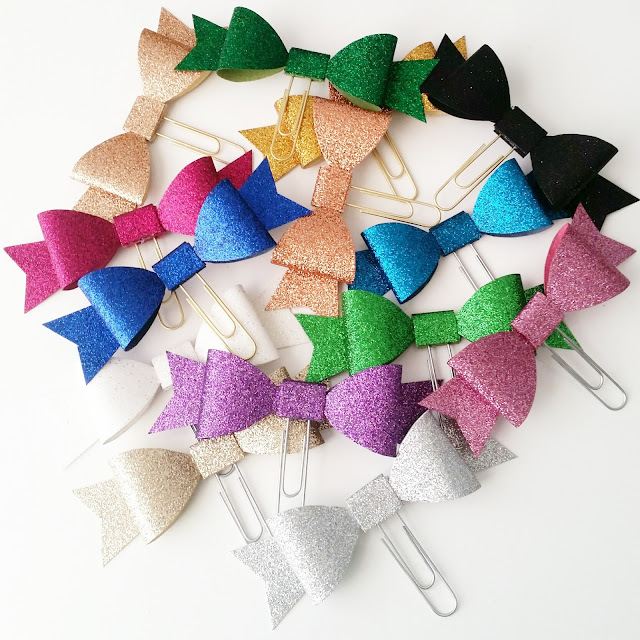 You can choose to have you bow mounted on either a silver or gold coloured 5cm paper clip. 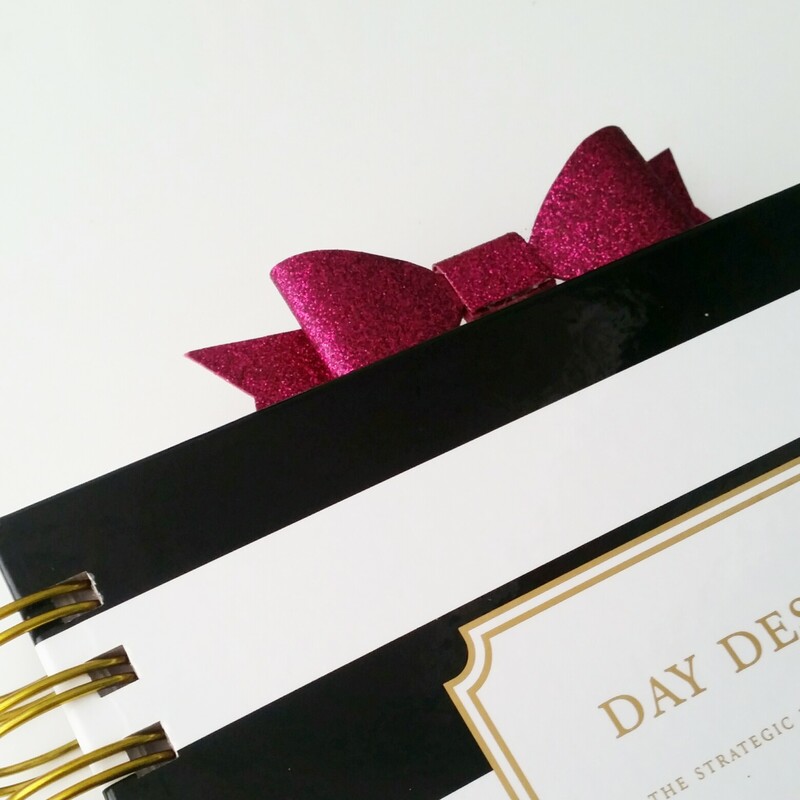 This is the hot pink glitter bow being used as a page marker / bookmark in my Day Designer. I love how it's both smart and fun looking which is very much in keeping with the DD's style. Here is the white glitter bow holding my business card in the pocket of my Happy Planner. 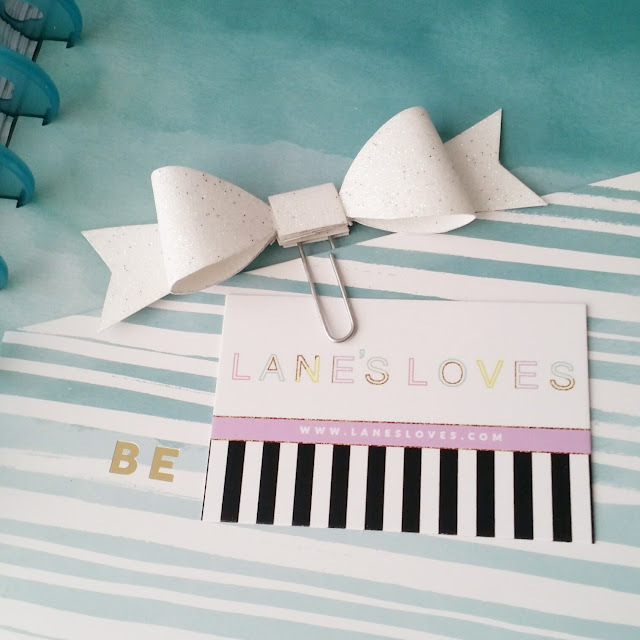 Due to it's flexibility the bows cope well with being flattened down inside and then bouncing back into shape so it's not limited to just being a page marker / bookmark. If you'd like to see more details head on over to see them in my Etsy Shop. 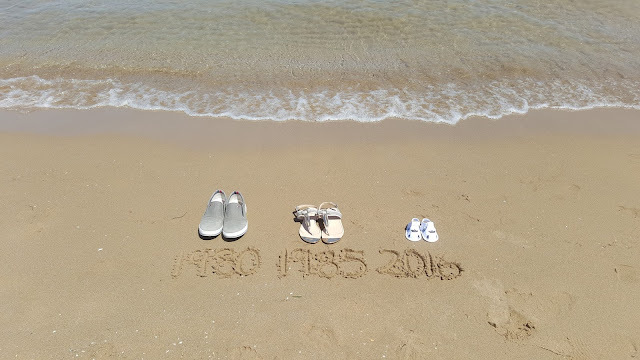 Back soon with some more of my Happy Planner Challenge from Instagram! 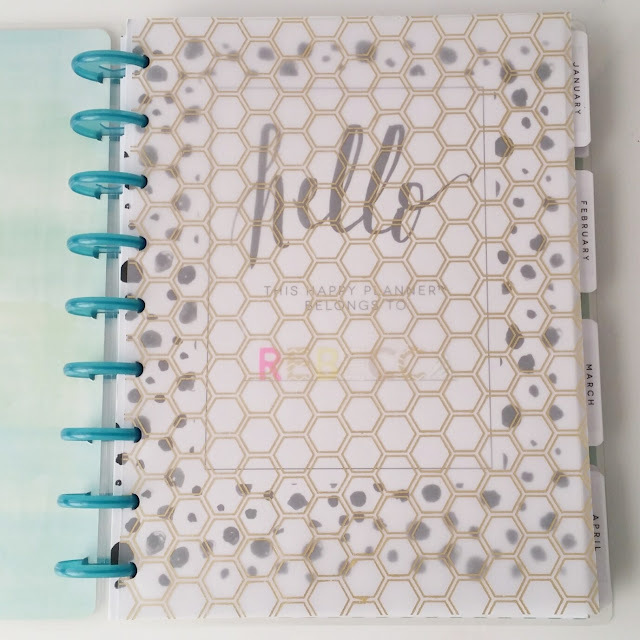 I've been a busy bee again making my first range of goodies for the Happy Planner, I absolutely love mine and the customisable nature of the disc bound system so I have a long list of things I'll be making but these are the first items to roll off the tiny production line that is me! 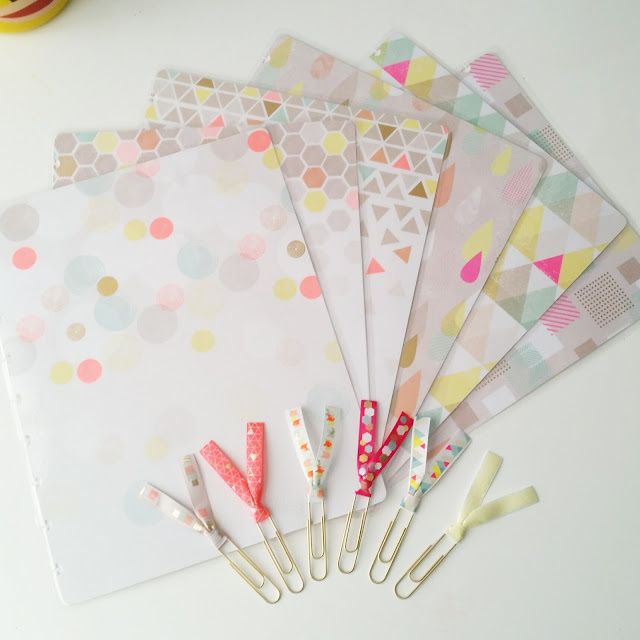 I've got a selection of covers and vellums using this beautiful gold foiled "geometric neon" paper collection and I made some coordinating ribbon planner paper clips too! Pictured above you can see my current listings of six cover designs using these beautiful printed and gold foiled papers backed with white card and laminated and punched for the Happy Planner. 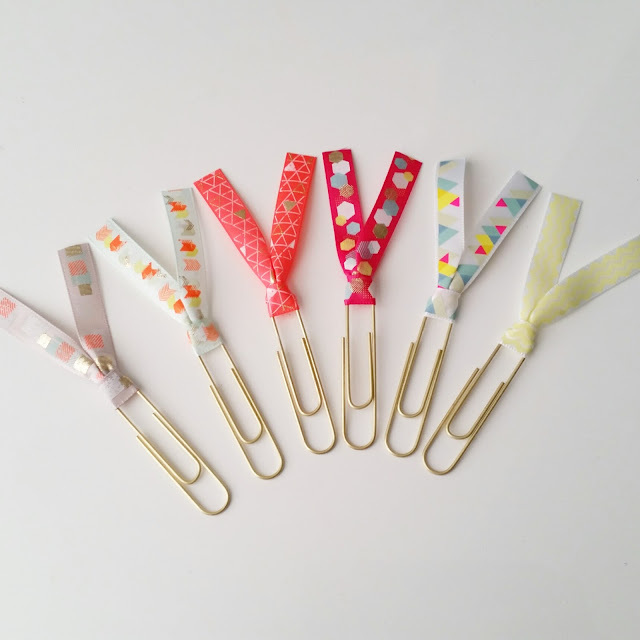 You'll also see the set of six coordinating ribbons on 5cm gold colour paper clips and down below are the four vellum inserts which again are punched and ready to pop straight into your Happy Planner. If you're not familiar with vellum it is a strong, transparent sheet of (in this case printed) paper which is actually more commonly a kind of plasticised cotton and is very similar to tracing paper. Three of the ones above also have lovely gold foil detailing which is a feature of this paper collection. 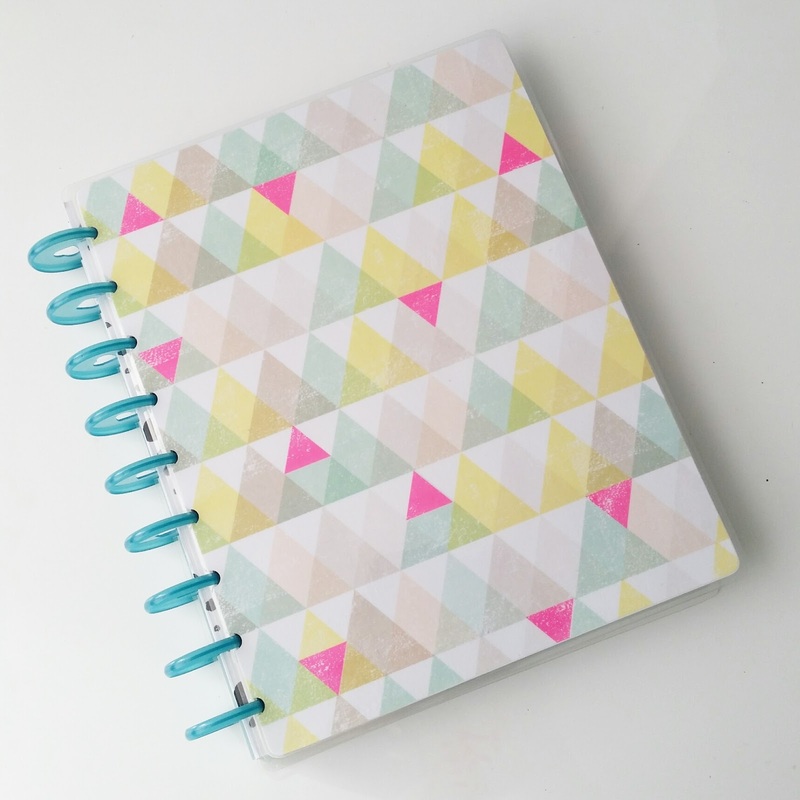 Above is a closer look at one of the covers in action, this one is the only non-foiled cover but I love it all the same, the combination of colours is soooo spring-like and I adore the repeated triangle pattern with the almost sponged stencil effect to it! Above is a closer look at the six satin ribbon planner paper clips four of which have gold thread details, as you can imagine I particularly like the one that matches the cover I chose to highlight but they are all beautiful. Last of all here's a look at my favourite vellum insert in action, this gold foiled honeycomb pattern again feels very seasonal as winter turns to spring and the bees start to buzz again. 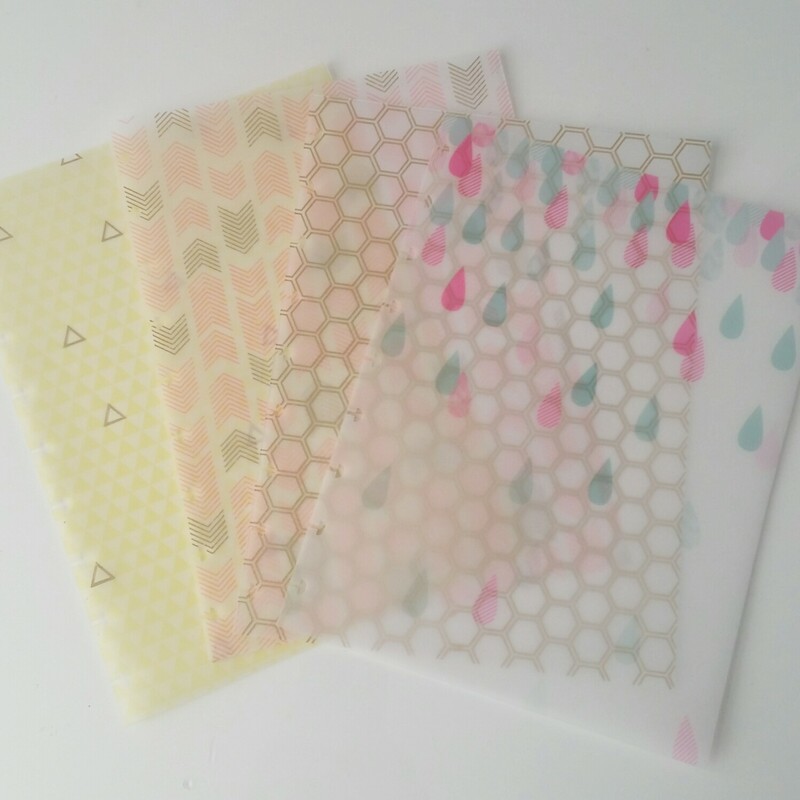 You can use these vellums as a "page protector" or to cover bits of journaling, you can also decorate them with inspirational quotes or photos and keepsakes, the only limit is your imagination and that's why I love planning.